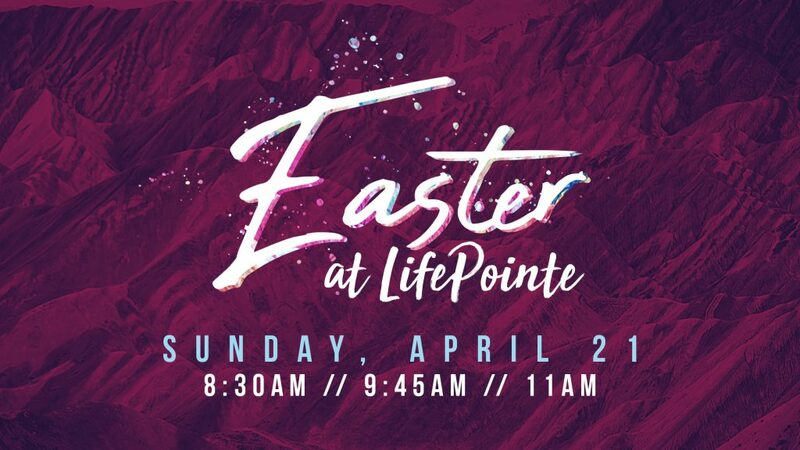 We invite you to celebrate Easter with us at LifePointe Fellowship. LifePointe Fellowship is a life-giving church that your entire family will love. Our Easter services are about 60 minutes long and will be packed full of beautiful music and an inspiring message about our Risen Savior, Jesus Christ. We will have 3 service times to choose from: 8:30, 9:45, or 11:00 AM. Our LifePointe Kids areas will have their own “Glow in the Dark” Easter Party at each service. Each kid will leave with candy filled eggs and prizes. Stick around for coffee, donuts, and a family photo with the Easter Bunny.